When a family experiences death, divorce, or other traumatic loss, the central focus is often on the adults involved, but the children in the family are profoundly affected too. Often because of their age and limited life experiences, they find it difficult to express their feelings of grief. Lebanon resident Brenda Gill established the local Rainbows children’s grief support group here in Wilson County, to help them express their feelings, and work through their painful experiences. Brenda is assisted by David Hesson, First United Methodist Church associate pastor, and Teresa LaFevor, director of children’s ministry, and several trained volunteer facilitators. 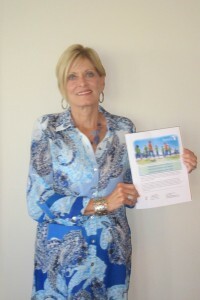 Brenda serves as the volunteer coordinator. She helps facilitators get trained, orders materials, sets the schedule, and spreads the word in the community. The 12-week Rainbows program is free of charge, and not affiliated with a specific religious group. It is divided into four age groups, for ages 5-6, 7-8, 9-11 and 12-14, and covers 18 topics, including self-esteem, trust, family issues, anger, moving forward, etc. Brenda expressed her gratitude for the volunteer facilitators, adding, “The facilitators are dedicated ladies who I really admire. They give time and love and effort each week to these kids. It takes a lot of planning and praying for the program to work.” The volunteer facilitators are Nancy Polley, Marty Young, Pam Tate, Cori Bradley, Melissa Dabbs, Kay Turner, and Pauline Satterfield. Rainbows is enrolling for the upcoming sessions, which begin Aug. 25 through Nov. 24, 2015. The sessions are held on Tues. evening, 6:30 p.m., in the Spain House, 415 W. Main Street in Lebanon. For more information about enrollment and the program, call Brenda Gill at (615) 306-0441 or (615) 444-7321; or David Hesson and Teresa LaFevor at First United Methodist Church, (615) 444-3315. Buy your GALA and Breakfast with Santa tickets here!